Frustrating - the eight new Enviros are branded up for Red Flash and ready to hit the streets but DVLA still haven't provided the necessary paperwork. They will now sit sad and lonely in the yard until January. 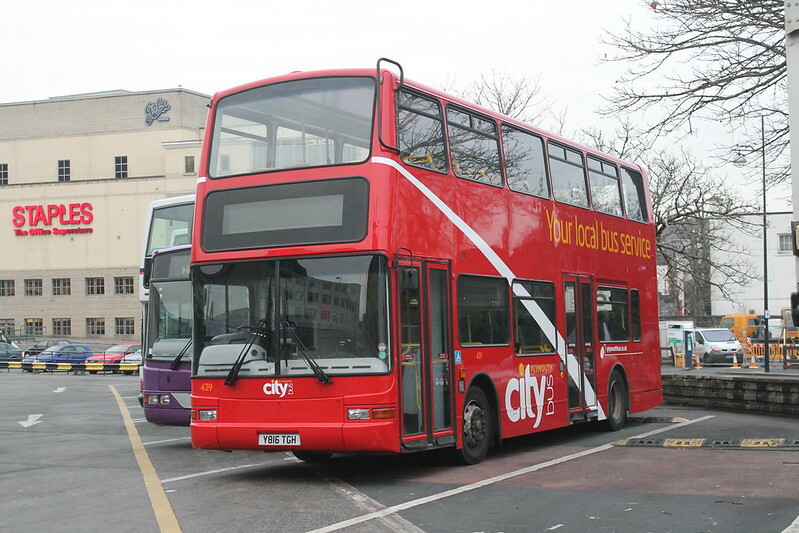 Eleven more pre-owned double deck buses have arrived from London. Will get the fleet and reg numbers to Graham so he can update his fleet list, when I get a few minutes to wander around the yard. See 439 with front stairs still has centre door and 440 and 442 are parked up with Citybus legals and new fleet numbers on London livery. Is this a change of policy? I think it could be that they just want to get them out as soon as possible! Given the 4 deckers removed from the 21/21A for the 32, in my view the sooner they're on the road the better! 440 and 442 and some others are going onto schools in london livery so they can carry on with the centre door conversions on the current ex london deckers. the EVL AND PVL variants, then when they are all done then they will start on the latest batch.